Making stripes is the most simple way to use colour in your project. This way you can give it that little bit extra. 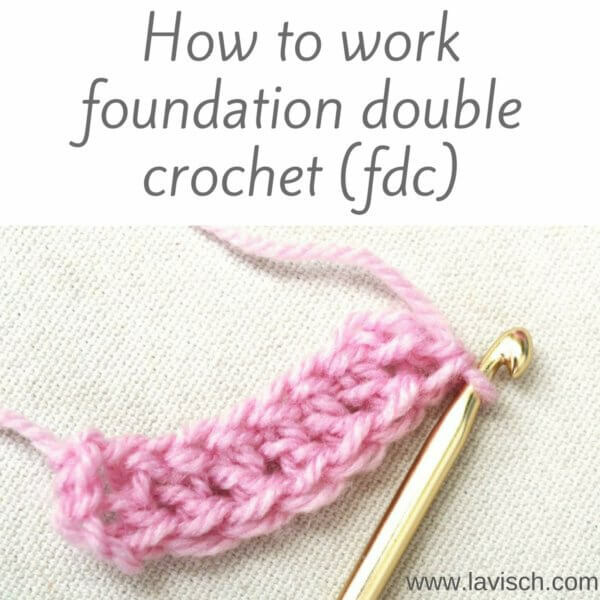 This works especially well with a simple stitch pattern, such as single crochet, half double crochet and double crochet. 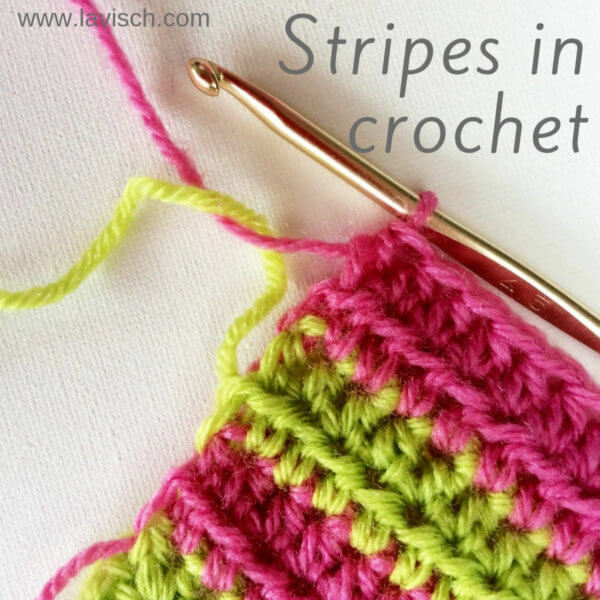 But what are the things to pay attention to when making stripes in crochet? 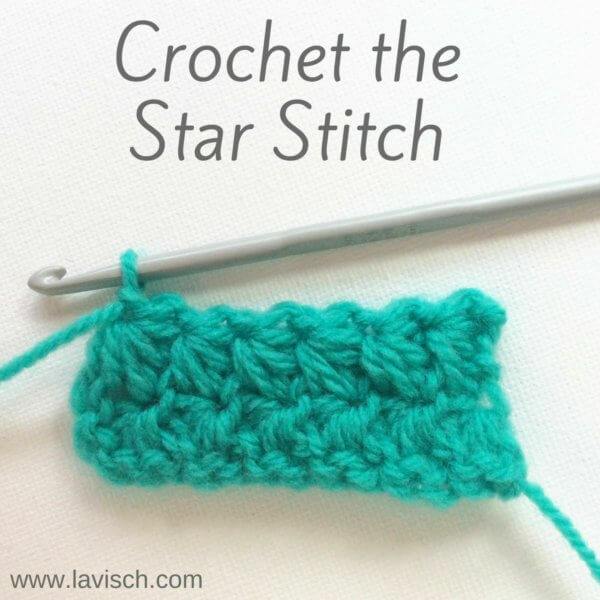 In this post, I will tell and show you some things with respect to striping technique in crochet. 1. 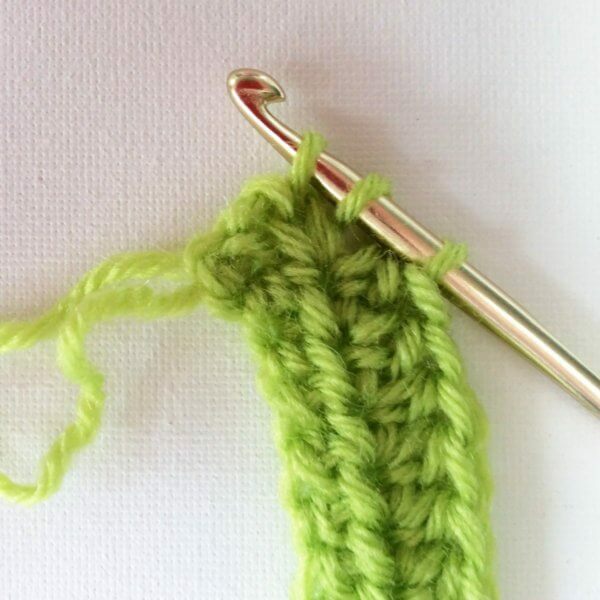 Crochet to the very end of your row, but do not complete the very last stitch. In this example of hdc fabric, it means that I have three loops left on the hook and have not finished this last stitch by pulling the yarn through these stitches. 2. 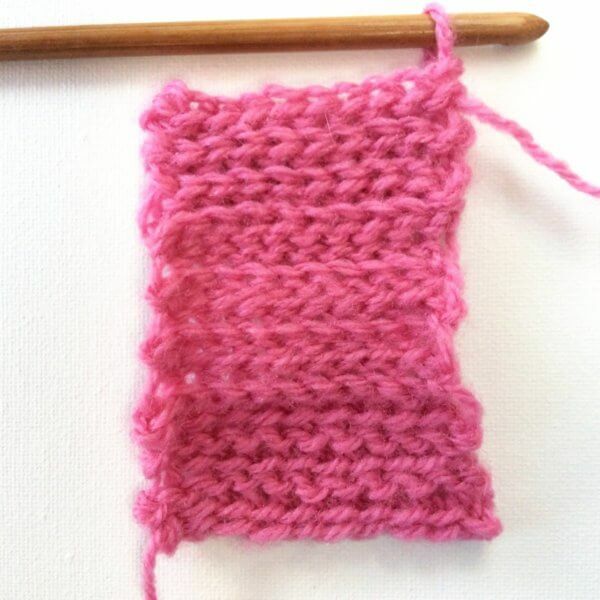 Next, pick up the yarn in your other colour and pull through the last loops to complete the stitch. Weaving in ends is something most people do not find pleasure in. Therefore, it is good to know that it is also possible to crochet stripes without breaking the yarn. 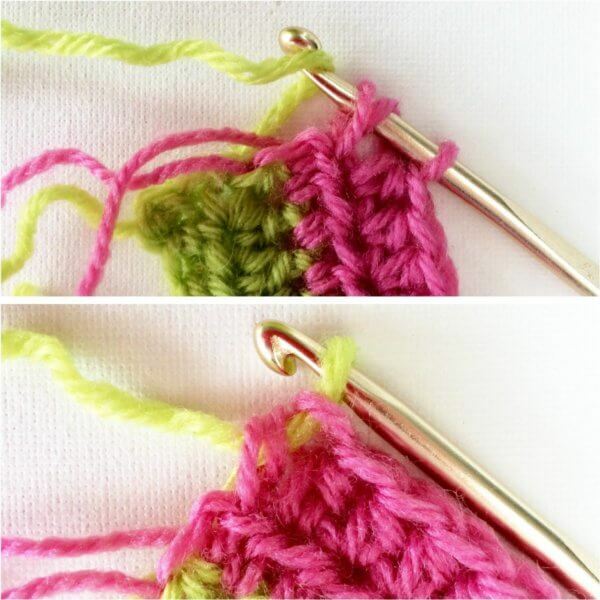 To do this, you just let the yarn in the colour you are not using for that stripe alongside the edge of the work. This method works best with an even number of rows and using only two colours. 1. Work as usual until the end of your row, but do not complete the final stitch as described above. 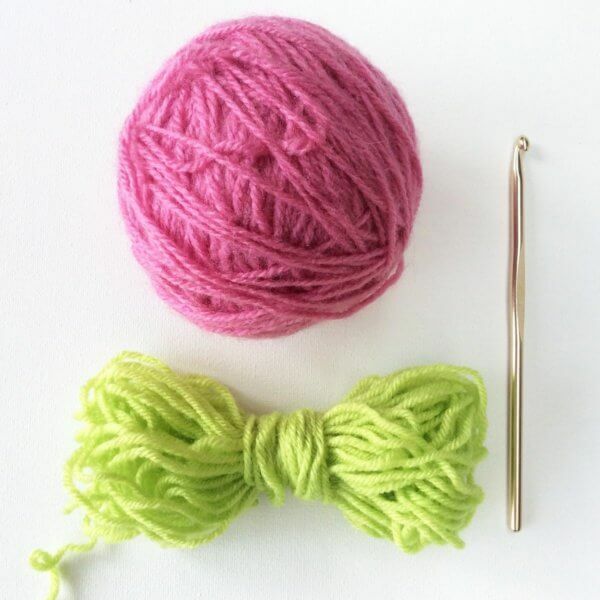 Pick up the other coloured yarn from the side of the work, where you left it. Finish the last stitch with the new colour. Make sure not to pull this thread too tight! 2. In the case of a wider stripe, you do not want your contrast colour yarn to form a long loop on the edge of your piece. 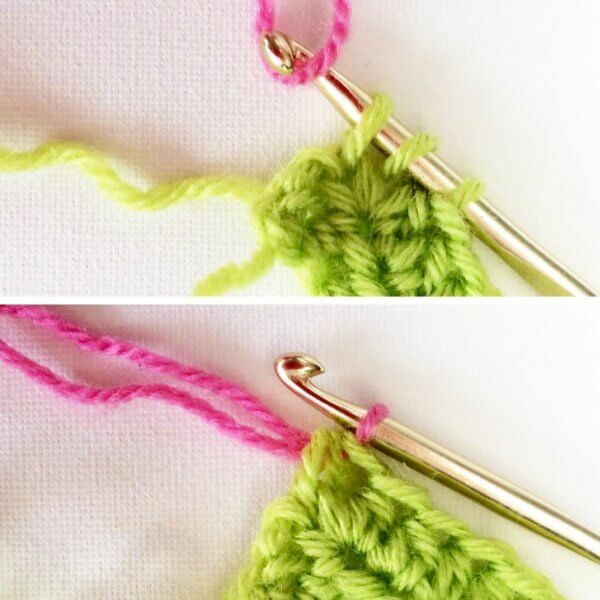 To avoid this, do the following: Whenever both colours of yarn are on the same side of your work, you twist them. This “catches” the thread of contrasting colour behind that of the colour where you are currently working with. 3. When switching to another colour, do it the same way as described above under 1. And this is how to work stripes in crochet! 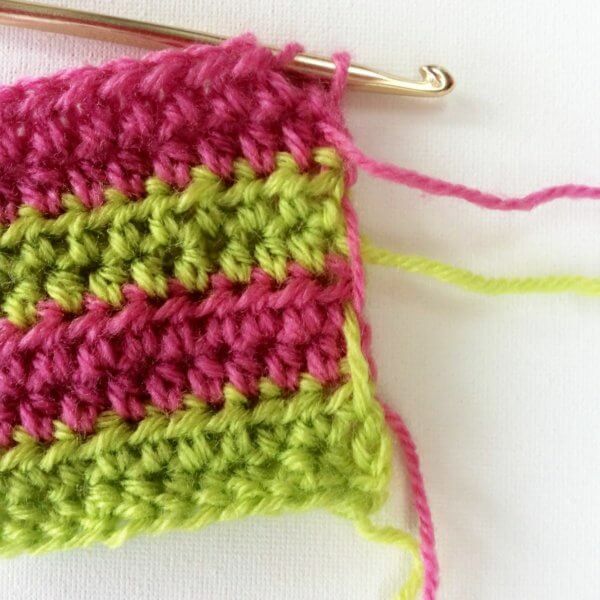 One last tip: Only crochet stripes without breaking the yarn if the stripes are not too wide. With wider stripes, it can be difficult to keep the tension of the thread running along on the side just right. Often it just gets too tight or too loose. The result in these cases is usually better if you indeed just break the yarn.